The One Acre Fund, an incredible social impact business started by a Kellogg grad a year ahead of me just won a really prestigous award from the Financial Times for Achievements in Basic Needs Financing. Chris Addy, who is a Kellogg friend and is on the Board of One Acre, brought his to my attention. One Acre teaches advanced farming techniques and finds creative ways of financing the seed and fertilizer that helps to exponentially increase yields for these farmers. 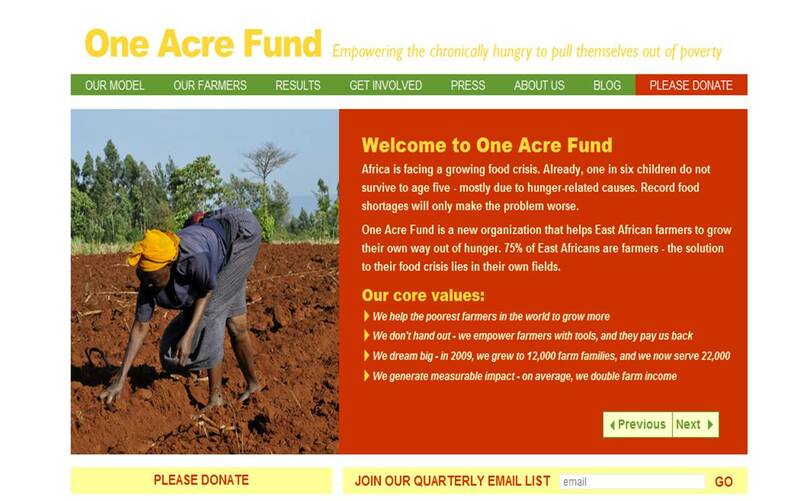 Major props to Andrew Youn, Founder of One Acre!